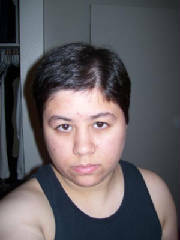 So today, October 4, 2007, I had my very first injection of Testosterone. I went to Portland to see Dr. Suzanne Scopes. She sat with me and discussed my lab results from the previous Monday about my cholesterol, Natural Testosterone levels and other aspects of my health. 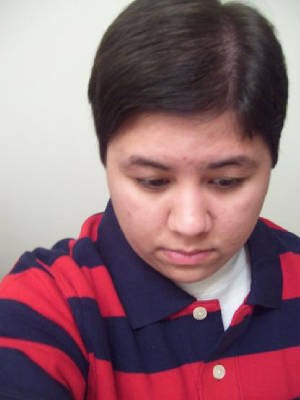 I did my check up, then prepared myself for the biggest part of my transition so far. She walked me through, showed me how to give myself the injection properly, and then I was ready. 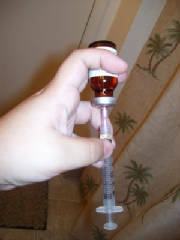 I extracted my first dose (which was .3ml due to my high natural levels of testosterone) which is a fairly low dose. I sat for a few minuetes because it was difficult bringing myself to stick that needle in my leg. I knew the Dr. had other patients to see so I bucked up and stuck it in. It was fine, ofcourse it hurt a bit, but I got through it! 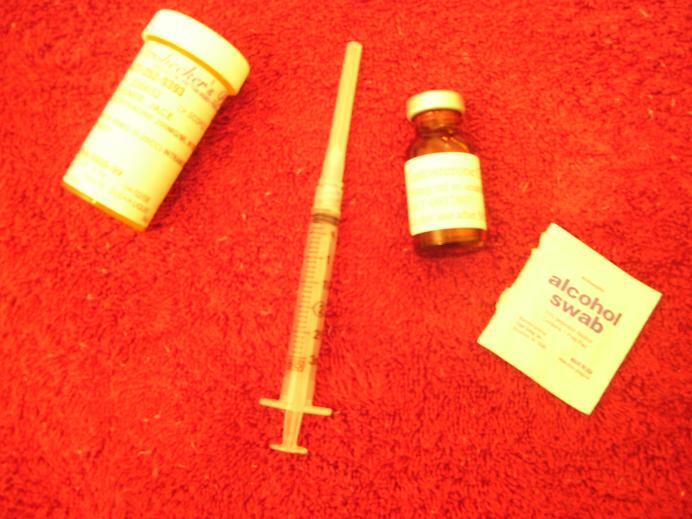 So I am now past my first injection and I will be taking .3ml each week until further notice. This is just the first of many updates. I am posting photos here for comparison down the road. Notes: Nothing to really say about the shot itself other than that evening my leg was pretty sore. On day 3 I woke up with a nose bleed, i'm not sure if it's related to the injection but someone suggested maybe it's because on day 3 your T levels are peaking and my blood pressure rises. I will have to monitor that. Near the end of the first month: My voice has changed a little bit. My muscles seem to be trying to expand. I have more engery and am a little bit more hungry lately. My acne is kind of getting worse, i'm working on that though. I noticed i'm already growing chin hair and it's starting to show, also thickening on my lip.